A collection of colorful and harmonious force, rhythms, and diverse experimental talents who have already led an influential path by way of their music, are taking the responsibility to be another sort of influence. They are going to take the stage this time to stand up for the human rights that are slowly on the fringe of slipping away as we look at a conflicting Roe vs. Wade reality. Activist and visual artist, Amelia Bauer, along with her husband Daniel Rossen, who plays with the band Grizzly Bear decided to take action and use their access to raise funds the best way they knew how –music. So derived NOISE FOR NOW. The organization enables performers to connect with, and financially support institutions that are dedicated to empowering women and protect their reproductive rights. Along with battling human trafficking and wage equality. Almost a year ago, they built it’s foundation with two nights of donated performances in Santa Fe with acts from Bon Iver, Spoon, Tune Yards, Fleet Foxes, Heather Trost, Lower Dens, and TV on the Radio. This year, they are on for round two with two impressive lineups happening once again in Santa Fe. 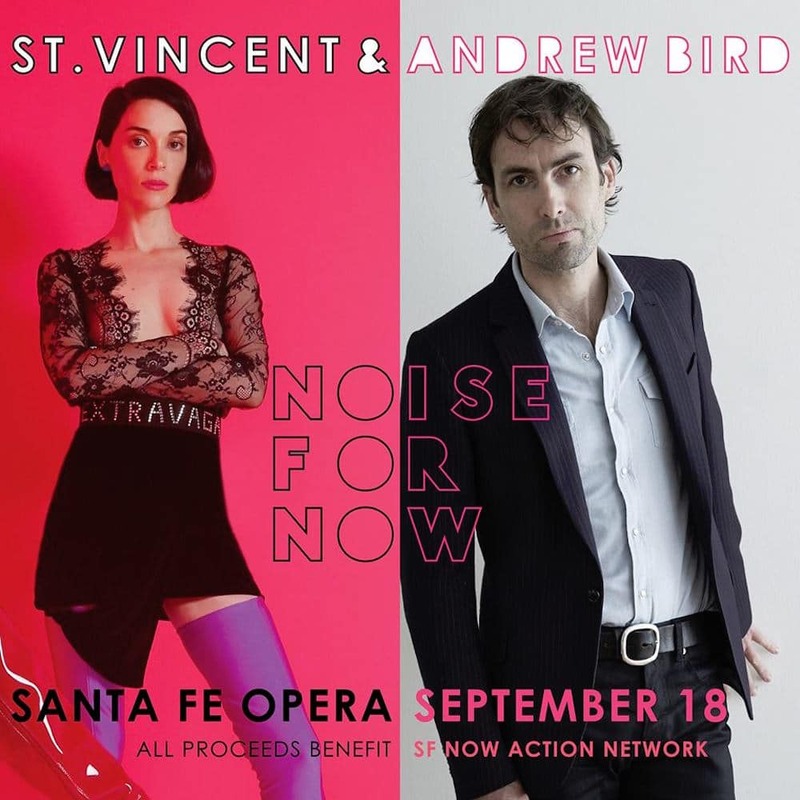 Friday, September 16th locals can look forward to Grizzly Bear and A Hawk and Handsaw at The Bridge to delight their minds, followed by St. Vincent and Andrew Bird at The Santa Fe Opera House four nights later. NOISE FOR NOW isn’t stopping in New Mexico, but plans to shake it up in regions that are the most vulnerable to laws denying women access to their health and abortion rights. Following the Santa Fe shows, Portugal the Man takes the stage in Alabama with other shows planned in Kentucky, Tennessee, and Illinois. So far every single dollar has been split to benefit local grassroots organizations. Last year Planned Parenthood of the Rocky Mountain Region, The Mariposa Fund of Albuquerque and the Texas Equal Access Fund all benefited! NOISE FOR NOW provides a joyful way for activists, feminists, artists, and fans to ally for justice and physically provide disparate groups democracy. 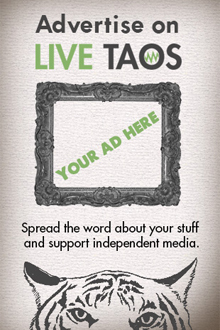 Noise for Now is a guest author for Live Taos. Do you have something interesting to say? Submit your article to [email protected] and we'll take it from there.